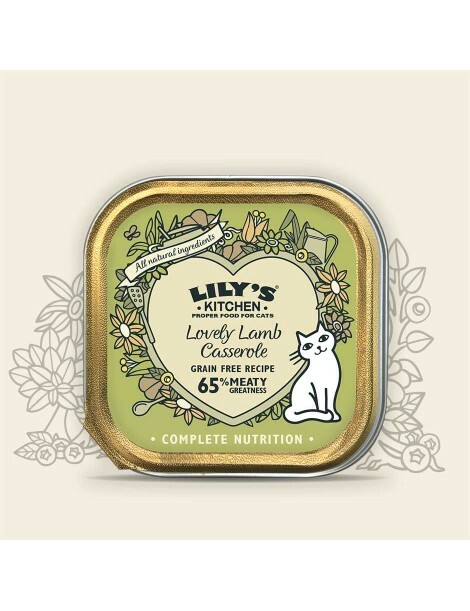 Inspired by real home cooking, Lily’s Kitchen Lovely Lamb Casserole is a sumptuous grain free dish packed with meat for your adoring cat. 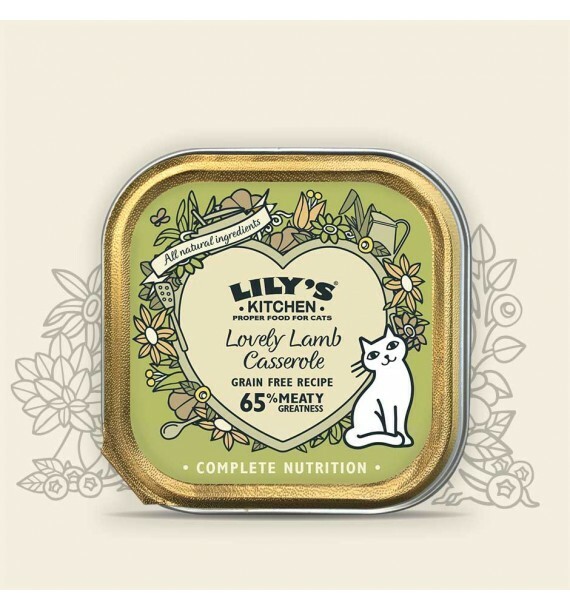 Inspired by real home cooking, Lily’s Kitchen Lovely Lamb Casserole is a beautifully simple yet sumptuous dish for your adoring cat. This nutritionally complete recipe is made with wholesome ingredients and packed with the good stuff - meat and offal that your cat thrives on. With 65% freshly prepared lamb, chicken and pork, the variety of tastes will keep your cat coming back for more and they’ll love the rustic, chunky pâté texture.